Dalby Forest, managed by the Forestry Commission, offers over 8,000 acres of woodland to explore, enjoy and discover. Great play area for children, accessible walking and cycling trails for all. Cafes and bike hire centre. Go Ape and Forest Segway is also here. 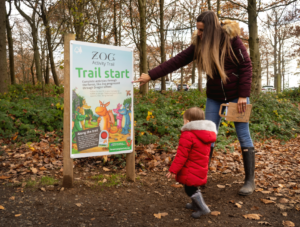 Zog is the fantastic new trail for kids. Adderstone Field has the Enchanted Wood and the Gruffalo Trail which are also fantastic for kids. Staindale Lake is great for picnics. Located on the cliff road from Bempton village (on the B1229 road from Flamborough to Filey), YO15 1JF, follow the brown tourist signs. Great place for a walk and to watch birds, particularly puffins. 200,000 plus birds can be seen on the cliffs from April to August. New visitor centre with indoor discovery zone. Walk through stunning pine woodland around the reservoir, which would only be 1.5 miles max, a path the whole way round so pushchair friendly. 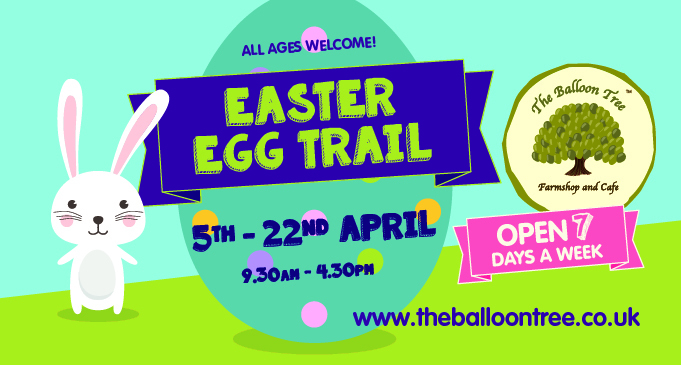 Excellent for kids dogs and anyone wanting a lovely walk! Theres a stream for paddling and grassy spots for pic nics. There are 2 small free car parks which is a bonus and even a designated parking bay for the ice cream van. It is only 17 miles from Helmsley and a lovely drive. Just North of Thirsk. You can either go the A19 or from Helmsley go past Rievaulx Abbey. Head to the forest for a fun-filled family day out on our Highway Rat activity trail. What can you expect on the trail? Go in search of 10 Highway Rat-themed panels, each with fun facts and activities to try. As you go, look out for characters from the story, complete four rubbings and take your picture with the life-sized Highway Rat ‘Wanted’ poster! Walk from Farndale village. Beautiful as the daffodils come out, lovely walk on a hard path suitable for push chairs and a good river for a paddle! Great place to bike. The two sites are connected. At either site there is free parking and a play ground as well as a lovely café. Well behaved dogs are welcome too! 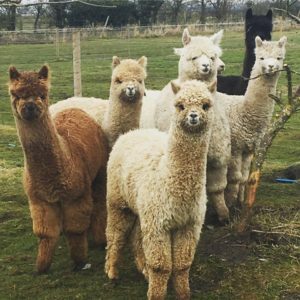 Howardian Hills AONB Team have developed some easy access walks or ‘Easy Countryside Trails’ in collaboration with ifootpaths which are suitable for people of all abilities and that would include walks which are pushchair and toddler friendly. Enjoy five tranquil acres of flowers, fruit and vegetables at Helmsley Walled Garden. Produce from them and the Kitchen Garden go into the delicious dishes made in the Vine House Café. Visit this beautiful fully accessible garden in the North York Moors. “Visit Hutton le Hole on the edge of the North Yorkshire Moors for a lovely family day out. If ever there was a magical woodland walk, this is it. Take the trail through the trees on a 2-mile circular route that passes an idyllic woodland tea garden and the 30-foot Falling Foss waterfall, before returning alongside babbling May Beck. It’s a lovely shady walk for summer – with shallow waters to paddle in, and a bridge to play pooh-sticks from – and spectacular in autumn when the woodland colours are at their best. If you don’t intend to venture far from the tea garden and waterfall, you can use an alternative car park near Falling Foss instead. Local nature reserve and mature woods with a reasonably good path all the way through, good for seeing bluebells. Several good pubs in Millington for food afterwards. The Newbridge Park Group aims to develop the existing facilities in the disused quarry and adjoining neglected woodland on Newbridge Road in Pickering. Locals will continue enjoying cycling and walking, and we also aim to reintroduce native species as part of a long term woodland management plan. A cycling skills area and cross country trail loop designed to allow progression for beginners and advanced cyclists alike. In addition, improved footpaths and accessibility, seating and ensuring that the woods will be a place for all locals to enjoy. As we like to say, ‘Live Local, Ride Local’. If you can find Pickering Castle you can find the bike park! Once you have located the castle use the footpath that circles it, the best way is via the bottom part of the path which is accessed from the very steep Castle road, go through the gate and carry on along this path, when the path splits, take the left fork down into the woods, this goes over a little wall, its level with the path at the crossing point. Once in the wood take the left fork that goes down a short hill and follow this path to the entrance of the bike park within 50 metres. The Cross Country and the Jump Park start at this entrance point. Old fashioned steam engines running through beautiful countryside, can jump on and off at various villages. Bike, run, walk, climb, glide – find out about the amazing world of adventure awaiting for you at Sutton Bank. Bring your own bike or hire one on site and enjoy the fantastic cycling facilities at Sutton Bank. 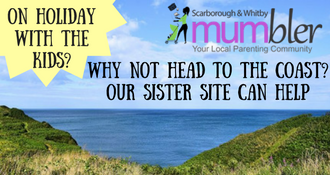 It’s a great place to get your family cycling, providing access to many miles of bridleways, roads and tracks across the North York Moors. Cliff – family friendly 3 mile ‘green’ circular off-road cycle trail, mostly level, part of which follows the famous cliff edge. Fort – 7.5 mile ‘blue’ trail with 361m ascent/descent (70% stone, 30% natural surface) runs out past the site of the Iron Age fort at Boltby Scar. A shorter loop of 5.5 miles avoids the ascent/descent and is suitable for families. The Fort route also includes part of the Cliff Trail along the cliff edge. Drovers – add a little more distance and variety without increasing the difficulty on the new ‘blue’ 10 mile figure of eight trail which passes High Paradise Farm for refreshments. Paradise – a 17-mile ‘red’ trail for experienced mountain bikers, through some of the most breathtaking scenery in the National Park. Expect a few technical features and a steep climb or two. An easy to follow route will enable you to crack the clues whilst taking in some of the most fascinating sights along the way. They tend to be suitable for all ages from 6 – 106 (no children necessary!). Goathland – Legend of the Gytrash starts at the main car park (YO22 5ND) and explores this village known to many as Aidensfield, the location of TV’s Heartbeat. North York Moors – Hole of Horcum Treasure Trail starts in the village of Sneaton (YO22 5HR), to the south-west of Whitby. The scenic route takes you across valleys and moors, stopping at Falling Foss Waterfall, Littlebeck, the wonderful natural feature of the Hole of Horcum, and Lockton. Explore Thornton-le-Dale on this self-guided Murder Mystery themed Treasure Trail. The Trail starts in the main car park (YO18 7RW) and leads you around this quaint village with many hidden charms. Explore the North Yorkshire Moors by train on this self-guided Treasure Hunt themed Treasure Trail. The Helmsley Treasure Trail starts at the entrance to the main Long Stay car park near the castle (YO62 5AZ), at the start of the Cleveland Way. The route explores the market square and surrounding medieval streets as well as some less frequently visited areas of Helmsley, before finishing back at the castle. Explore Pickering on this self-guided Spy Mission themed Treasure Trail. The Trail starts at The Ropery car park (YO18 7DP). The route then leads you through the historic town centre and around the castle, before finishing at the station of the North Yorkshire Moors Railway. The Malton Treasure Trail starts in the centre of Malton, in the Market Place (YO17 7AA) and uncovers the inspiration for Ebenezer Scrooge’s counting house and the delights of The Shambles. The route then leads you out via the site of the castle, with the option to join the riverside path or travel by car to finish in the village of Old Malton. A beautiful 120 acre garden! 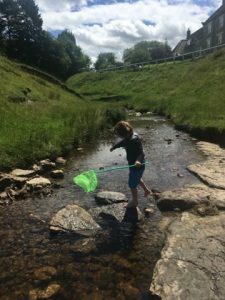 Wander off to explore peaceful hidden glades and wildflower meadows whilst letting the children run. Lovely cafe with home-cooked food.